Here at The Artist’s Road we promote creative thinking and doing at any age. Dr. Francine Toder has written a book based both on scientific research and individual case studies that not only supports the notion that a “vintage” brain can take up a new artistic passion, but that there are many benefits to doing so. She’s also a living example of her teaching. So I’m pleased to offer today a guest post by Dr. Toder, author of The Vintage Years: Finding Your Inner Artist (Writer, Musician, Visual Artist) After Sixty. Be sure to share your own thoughts and experiences with her in the comments! The rationale to pursue the arts as a rank beginner after age fifty-five requires a non-traditional way of thinking. It isn’t about talent, future benefits, fame, or acknowledgment by others. It’s a boundless journey or an end in itself without rules or requirements. The decision to paint or write a memoir is often fueled by curiosity or by a rekindled interest from long past. While pursuing the arts after sixty has a different goal than earlier in life, it also has a different trajectory. It might not start with burning passion. Instead it may begin by meandering down a path propelled by shifting priorities and nagging questions like, “What’s next?” and “If not now, when.” These could be the quintessential questions of The Vintage Years—the first stage in life without a clearly laid-out path and set of expectations. Many of us are still physically active, intellectually curious, emotionally stable, and yearning for meaningful ways to spend our time. The neuroscience literature has happily reversed itself from what I learned in graduate school nearly a half century ago. Back then the prevailing ideas about the brain suggested an irreversible decline beginning about age thirty. In fact, throughout all of life nerve cells do indeed increase along with the connections linking brain cells! I hypothesized that taking up a fine art form at this life stage could maximally stimulate the brain and the psyche. Then I set out to see if this was true. I started by interviewing late-blooming artists, those who didn’t pursue their art until after age fifty-five. At sixty-eight, following a full life including the usual busyness of family, home, community involvement, and job as a butcher, Henry moved into an unplanned retirement. Not content to watch time go by, he took up whittling large blocks of wood, actually tree trunks. Ironically, this activity mirrored his childhood interest of making toy cars with his pen-knife, and his adult vocation of carving sides of beef. He hadn’t connected the common threads until we spoke when he was ninety-six—and still shaping wood figures, although now in smaller sizes. I was amazed by his memory, which he attributes to his artistic lifestyle and the physical activity required to sustain it. Henry’s brain and body have kept pace with his advancing years. Harold at 65 could look back at a satisfying mid-life spent raising a family and managing his career in sales. In the early days of his retirement he took an adult-education stained-glass art class. His goal was simply to stay occupied when all the fix-it jobs in his new home ended. With no previous art training his curiosity kindled a passion that in the past twenty years has led to creating extraordinary stained glass objects and windows that grace several houses of worship in New Jersey. Charmion wondered whether she was creative. At 70 she decided to find out. Her science background made her feel lop-sided and so for balance she took some poetry writing courses. That wasn’t a good fit but her interest in classical music later led her to the Viola da Gamba. Very difficult to learn and play, this six-stringed baroque period instrument is even larger than the cello. Charmion couldn’t have found a greater cognitive challenge! She’s kept at it for eleven years, playing for an hour or two every morning and taking yoga and tai chi classes to maintain her flexibility and strength. Expressing oneself through the fine arts is the ideal way to harness these elements. Three years into playing the cello I would heartily agree. The brain’s very resilient and flexible nature also gives it the capacity to change when we decide to make a change—which often cannot occur until the demands of earlier life begin to recede. It turns out that this timing is perfect. What are the changes? Neuroplasticity: refers to the ability of the brain to adapt, renew and reshape itself as needed throughout life. I expected that the older brain was capable of changing over time but some unexpected findings were especially delightful. For example, certain changes in the brain and endocrine system actually facilitate the artist’s journey after midlife. Focus: While the older brain, beyond age sixty, processes more slowly than its young or middle-age counterpart, it’s compensated for by the ability to better focus on individual tasks, because of having fewer distractions and less interferences associated with the complexities of earlier life. I saw examples of this over and over again, e.g. a writer in his sixties who used his laser-sharp focus to distract and create time-outs from illness; a bronze sculptor also in his sixties allowing his art to divert attention from a family tragedy. Patterning: This is a shorthand brain process that is most robust in the later years. It allows a huge number of learned ideas to come together in new combinations. This may account for enhanced creativity later in life when we can draw upon a vast storehouse of lifelong learning that can be expressed in unique, fresh, and complex ways. Hormones: Decreases in estrogen and testosterone in the years between fifty and sixty give way to greater emotional stability, calmness, and increased attention. These hormonal changes also increase tolerance for frustration, which significantly benefits the late-blooming, new artist. Just like the more than twenty artists featured in my book, I focus on my art—practicing the cello daily. Hopefully I’m a good example of what is possible after sixty. Francine Toder, Ph.D., is the author of The Vintage Years: Finding Your Inner Artist (Writer, Musician, Visual Artist) After Sixty (2013). She is an emeritus faculty member at California State University Sacramento and a clinical psychologist recently retired from private practice. Toder is also the author of When Your Child Is Gone: Learning to Live Again and, Your Kids Are Grown: Moving On With and Without Them. 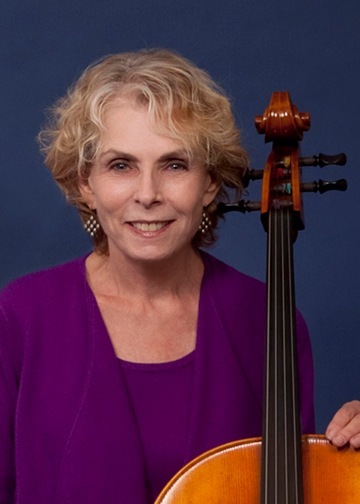 She resides in the San Francisco Bay Area and practices the cello daily. You can contact her at francine@docToder.com or find her on Twitter @DocToder. Lovely post – inspirational! I’ve certainly felt my creativity and particularly the patterning you mention has increased over the years. I love this insight into the older creative mind! The ‘storehouse of lifelong learning’ is an invaluable asset to creative people. Thank you for writing this post and providing more insight on the subject! You’ve confirmed my own experience, Dr. Toder. Thank you for this marvelous article. I’m passing it on to friends. Also, I love that you’re blogging about this subject. I think there’s a lot to be gained by using our social technology to bring together people who are pursuing creative endeavors later in life, especially if we can connect people of all ages to share their experiences. Thank you for your important work. Corey, I love your observation about the role that children and grandchildren can play in supporting the art expression of Vintage Years folks. It is a novel idea especially in a society that does not value aging and dismisses the creativity of those who pass sixty. I do think social media can make it happen. It was my 30 something daughter, working in social media marketing, who insisted that I create a twitter handle. Francine… Will you marry me? Just kidding, I’m more than happily married, but I am nevertheless in love with your style and determination and flexibility and optimism and, in general, your never-say-die demeanour. A friend of mine just took this “cello” photograph, which I hope you enjoy. Cheers. I was expecting a lovely cello photo that I could add to my collection of older musicians playing with passion. Imagine my surprise! Thanks for your kind words however. Ehsan… Here we are a year and a half later… and I’m glad to be reminded of this e-incident, and what a great photo that is. I’ll check it on your website. Btw… I live on the Sunshine Coast, in Gibsons. How lovely to read you are learning to play cello! This was my instrument in youth and now it sits unused. However, writing is my passion with most longevity and when I had a heart attack at 51, I took three years off work as a counselor to write a novel. The concentrated return to a disciplined creative life was a lifesaver in more ways than one. Still writing and becoming more published. I also enjoy making visual art, dance for fun, and sometimes singing. Cheers to you and your adventures, as well as dissemination of facts and generous support! I will check out your book. Cynthia, you sound like an all-around Renaissance woman! Sounds like you’ve embraced all the fine art forms. My next article is about tap dancing which also strengthens the older brain in ways similar to playing percussion instruments. I am a “hoofer” myself. I have many passions, as lots of us do, happily. The article sounds fun to write and research–I would like to read it! I studied modern dance a few short years but would like to try flamenco….we will see! Reblogged this on Underwriting Solutions LLC. Thanks for sharing so lovely post. Inspired me to continue with my goal. Francine, I’m so pleased to see your post is finding an audience and resonating with Artist’s Road readers. My wife is sharing it with her parents, and another friend of mine with hers. Your story, and what you have learned and are sharing, are both inspiring. Thank you for this beautiful and informative post, Francine. And thanks for having her here on your blog, Patrick! She’s truly the kind of artist that inspires. The facts about the older brain are fascinating – especially that the two hemispheres are more connected, and the possibility of ‘patterning’. While I was unaware of the scientific aspects, it has certainly been my felt experience, so it’s wonderful to have it validated by someone who has studied brain function. Best wishes for the success of your new book, Francine! Wonderful post – so encouraging to us older folk! I would add that there is great expansion in not caring so much about what others think, or even the end result. The understanding that our time is limited gives us both a drive and a freedom that we lacked when we were younger. I just ordered The Vintage Years. Can’t wait to read it and suspect I’ll want more copies to send to friends (one who comes to mind immediately is 68, a retired co-founder of a major accounting firm, and finding joy now through oil painting). Thank you, Francine, and thank you, Patrick, for inviting Dr. Toder to post. My husband and I are living the “vintage years” dream. I’m “only” 61, and learned at 58 that a passion for writing would thrill me for the rest of my life. My husband, at 75, is a former journalist, corporate communications director, and banker. He has recently completed the manuscript for his first novel. The first draft was 400,000 words, but as we learn to edit together, (thank you Sol Stein), he has found the vibrant thread of his story, and now (on the second draft), it is roughly 200,000 words. Our dining table, conference table, kitchen counter and spare bedroom are covered in typed chapters. By the final draft, I believe he will have a wonderful, publishable book of about 150,000 words. Meanwhile, I’m about 40% complete on my own first novel. Its skeleton and heart lay scattered about Upstairs, where I’ve carved out a space and told my husband’s characters they have to stay Downstairs and not mess with mine. We’re having a blast, here in our electronic cottage in the pine woods. I love every word of this comment. Keep up the great work, Beth! Thank you for sharing your progress with us. Hi Beth, I love your comments and can very easily picture your “electronic cottage in the pine woods.” I’m also touched by your kind words. I spent 45 years as a psychologist helping people one-by-one. Now I’m having a wonderful time sharing my writing and speaking with lots of people all at once. This is my project for life—that is, in addition to writing, the cello and dancing! By the way, any folks who identify themselves as “late-blooming” artists can send their story to me via email and my publisher will post it on their site on a page devoted to such stories. Have your retired accountant-turned-painter friend send me his/her story. I loved your blog. After hearing you present your book in Sacramento, I tackled my second novel with renewed enthusiasm. One advantage of writing in my vintage years is sloughing off the “voices” of my employers whom I wrote for during my professional life as a journalist and public relations professional. Writing now is about finding my own voice, and it is both frightening and exhilarating. Neuroplasticity is my new favourite word, Francine. Nice job by the way. You’re rocking your 60’s, just the way I intend to! Thank you to “The Artists Road” blog and Vintage Years Author Francine Today for the inspiration . Thanks to all of you for your wonderful comments and observations. I loved writing the guest blog for The Artist’s Road. Now I am blogging about aging and the fine arts, especially how these practices improve brain functioning at Huffington Post 50. Follow my blogs there by typing in my name. Please send comments and stories. I have always been a great advocate of pursuing art with an ageing brain. And your article is 100% bang-on it!